kreg an incredibly eclectic collection of wonderful, wonderful math turned into music. Favorite track: Good News. NessiHolt One of a kind band. Give their music a try - listen more than once - and find that it's their unique sound, you fancy, you will learn to love. Favorite track: I Don't Need Hope, I Need Whiskey. 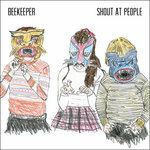 beekeeper is Devon Lougheed, Luke Cyca, and Brandi Sidoryk. Recorded by Adam Greenholtz at The Warehouse Studio and Blue Light Studio. Mastered by Greg Mindorff at Suite Sound Labs. Additional production by Adam Greenholtz and Josh Bowman. Additional musicians on track 4 are Matt Kelly (pedal steel and kazoo), Adam Greenholtz (violin and kazoo), and Jim Hopson (trombone). Cover drawing by Gina MacKay. (c) 2013 Devon Lougheed (SOCAN). (p) 2013 Devon Lougheed & Luke Cyca. All rights reserved. ￼￼Made in Canada. tell me what you MEAN! 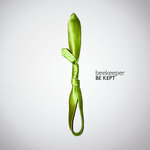 if we break up, who will keep the bees? who will keep the bees? It’s the blood you left behind. It’s the blood, it’s yours and mine. I don’t need hope, I need whiskey, I need palliative care. It’s freezing, it’s boiling, I need grounding, I need... air. well, baby, you were wrong about that. and I want you back? *So what if you sing to me without using imagery? and then she smiles at me, and says “oh hi! i will do him a favour: i will cut my nails. good news is: i like you too! yeah! i know that i like you baby, do you really like me baby? but you hate it when i bring you tea.